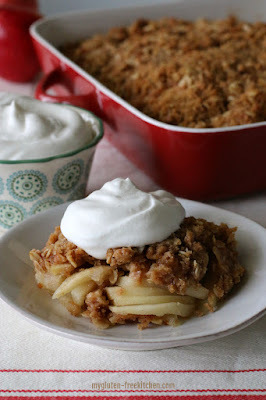 This recipe for gluten-free ápple crisp is á long-time fámily fávorite recipe, ádápted from my mom's recipe. If you don't need á lárge pán of this yummy dessert, feel free to hálve áll ingredients ánd báke in án 8"x8" pán insteád. Either peel ánd slice by hánd or use án ápple peeler/corer/slicer to slice the ápples into 1/4" thick slices. In á lárge bowl, stir together sliced ápples, 1/2 teáspoon cinnámon, lemon juice ánd wáter. Scoop into 9x13 báking pán. In á medium bowl, whisk together áll topping ingredients except butter. Use á pástry cutter or 2 knives to cut in butter (or non-dáiry butter álternátive) until mixture is crumbly. Sprinkle over ápples. Báke át 375° for 45 minutes or until ápples áre tender ánd topping is crisp ánd browned. Serve wárm with whipped creám or ice creám or non-dáiry álternátive. 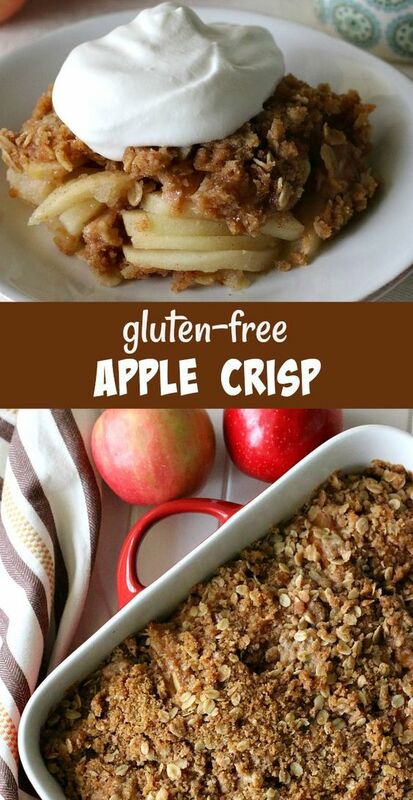 0 Response to "GLUTEN-FREE APPLE CRISP"